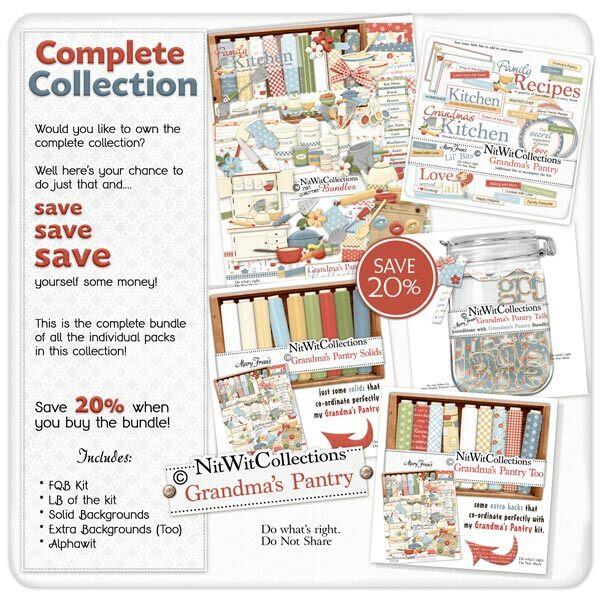 "Grandma's Pantry" Collection brings out the sights and smells that wafted over you when entering your grandma's home. How many times had she spent all week baking and cooking and awaiting your arrival. We all were thankful for it!! We wanted to bring you back to those times and possibly even reignite these traditions to continue in your home. Remember, it's no use crying over spilt milk so just keep trying.